Late credit card payments can have a devastating impact on your credit score, not to mention the lost profits from late fees. This guide will help you get a late credit card payment waived. Check it out now! For every late credit card payment you make, it delivers a blow to your business. Not only can you accrue additional fees, but it can also affect your credit score, change your credit limit, cause higher interest rates on future loans, and make it harder to obtain loans from your credit issuer in the future. These effects can reverberate for years, having a negative effect that lasts far beyond the initial missed payment. The good news is, you can often get a late credit card payment fee waived, minimizing the impact on your bottom line. Once you have handled your late payment fees, there are some steps you can take to ensure you don’t miss payments in the future. This will help preserve your credit score and prevent further fees. This article will outline those steps. If you have been notified that your payment is late, that means that the grace period for your billing cycle has already passed. This period is typically about 21 days after the bill is sent. As soon as you realize you have missed the grace period, pay the bill as soon as possible. If you must, you can make only the minimum payment, as long as the bill is taken care of. Do not, however, include the late fee in your payment. Once the minimum payment is made, your only remaining balance will be the late fee that you were charged for exceeding the payment grace period. By setting up auto-pay for your credit card bill, you will avoid missing any future payments. This is because you won’t have to worry about remembering to take care of the bill—it will automatically deduct the balance from an account of your choosing. By making your monthly payments automatic, the payment process, you take the guesswork out of keeping your credit card balance fully paid. This means you won’t get caught off guard during a future billing cycle, freeing up time and letting you focus on other aspects of your business. Believe it or not, you can get a lot of leeway from credit card companies if you just take the time to call them up and ask. You’d be surprised what kind of help you can get with fees and interest rates just by putting in some effort. The fewer days late your payment is, the easier it will probably be to get the fee waived. Use their customer service line and explain that you were charged a late fee. Then explain why your payment was late. Maybe your bill never came, or an electronic bill went to your spam folder. It could be that new employee accidentally threw out the mail. Whatever the reason, explain it to the customer service representative, and ask for the fees waived. They may not say yes right away, or may ask for further detail. Depending on how many days late your payment is, it may take more or less explaining to get them to waive the fee. Ultimately, however, as long as you don’t have a lot of missed or late payments, you can probably get your fees waived just by asking and explaining. Once the customer service representative agrees to the fee waiver, look out on your credit card statement for a balance transfer. Once the waiver goes through, your outstanding balance should return to zero. 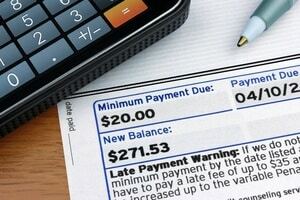 What Are the Consequences of a Late Payment on My Credit Report? As we mentioned earlier, a late credit card payment can have a number of lasting consequences with regard to your credit score and credit report. All the activity on your accounts reaches credit bureaus, which then subsequently affects your overall credit score. 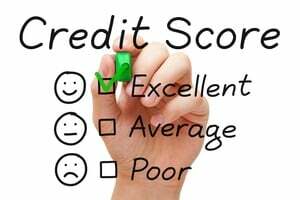 An improvement to your credit score will make it easier to obtain loans, while a lower credit score will have the opposite effect. 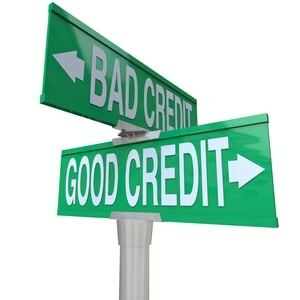 Every late credit card payment is noted by credit reporting agencies, and has a negative impact on your credit score. Unfortunately, getting the fee waived is unlikely to reduce this effect. You can look at your old credit report and then request a new one, comparing the two to see how your late payment has been integrated into your record. Note that getting your credit score requires a separate fee, as your credit score won’t be displayed on your credit report. The report will merely show you what credit you have had along with payment history, missed payments, credit card debt, and other details. 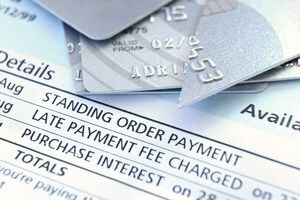 One of the big consequences of a late payment is that your credit limit may be reduced. This is even more likely to happen with multiple missed payments, as these would indicate to your credit issuer that you are unreliable. Late payments can also affect your ability to obtain a cash advance. This is because your creditor may not feel a high level of confidence that you’d be able to pay the advance back in a timely fashion, or according to the schedule agreed upon in your contract. Late payments can also increase your prime rate, as well as general interest rates. Your total interest rate is the prime rate plus the spread assigned by your bank. Both prime rates and the spread that your bank assigns can become higher with even a single missed payment. This will result in higher monthly payments. Overall, missed payments make it easier to go into deeper debt, as obtaining credit will become more expensive. After you get your late payment waived, be sure not to miss any other payments, as the consequences will become more severe the more delinquent your accounts become. One missed credit card payment isn’t the end of the world, provided you pay off your remaining balance quickly and set up auto-pay so that no future payments are missed. Get the fee waived and keep your finances in order, and your credit score won’t take a devastating hit. If you ignore the late fee, however, or don’t make changes that prevent further late payments, your credit score will take a severe hit. When this happens, your ability to take on cash advances or other forms of debt—debt you need to build your business—will be hampered. In the short term, this is a major frustration. But in the medium and long term, it can spell the end for the company you’ve worked so hard to build.